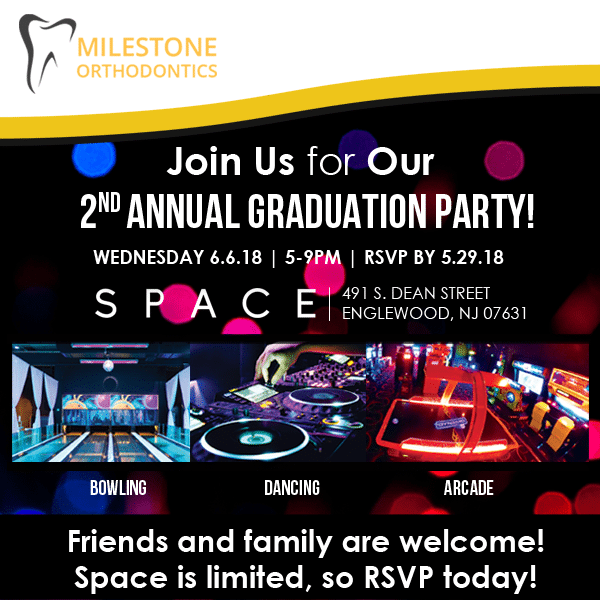 Exciting News from Milestone Orthodontics! Join Us for Our Second Annual Graduation Party on Wednesday June 6, 2018 from 5-9 pm! Dr. Milestone is very excited to announce that he has rented out the entire venue at Space, which includes a dance floor, DJ, bowling alley, video arcade, and more!